(bobs are the same number as your sue!) for example: Sally and Susie are partners, they are both number 1. Here is the formation chart. This is your STARTING position. The X with sweethearts initial is where both bob and sue stand. We are obviously more closer together but this is the overall general idea. I hope this helps! FLINTSTONES: you will be starting on the 45 yard line back right end. WIPE OUT SECTION: you will be starting on the 45 back left end. 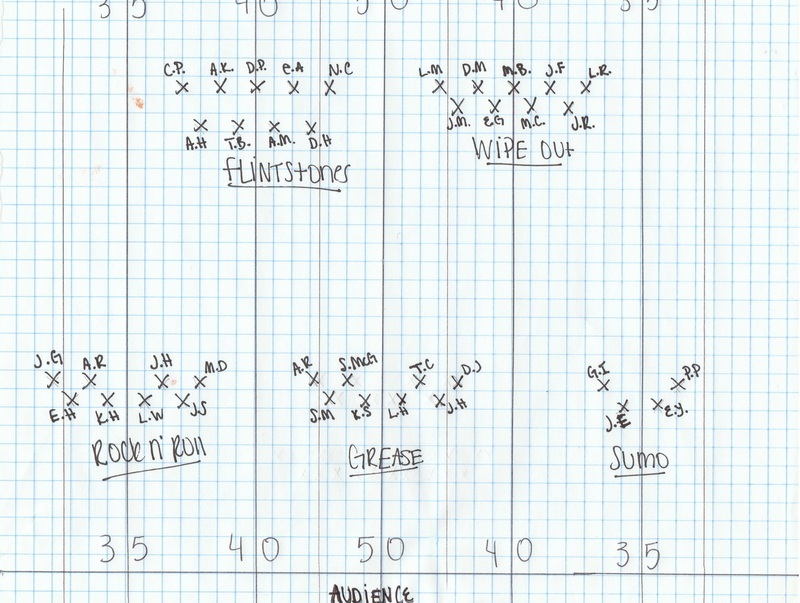 GREASE section: you will be starting on the 50 yard line.